Music gives a lot of enjoyment to our lives. Some don’t want to go on a moment without it, while others use it to relax, get ready or simply to forget. Listening to music has become increasingly easy – you can stream music on your smartphone, ensuring you got the tunes with you no matter where you go. It’s as simple as going online, checking our site for offers with smartphone & headphone sellers and sorting out your listening gear. Then you just need to download one of these below apps for your new Android phone and start listening to great music. 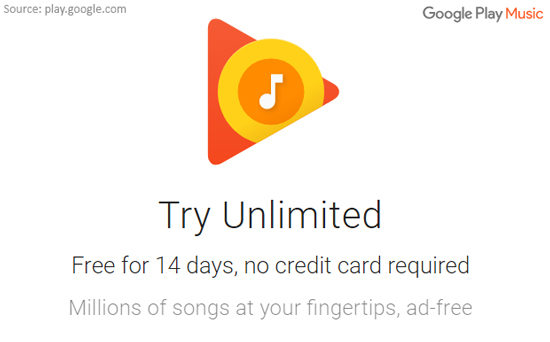 Your Android phone will come with Google Play Music, which is a handy music downloader app to use. You are able to listen to a range of songs for free and you can even listen to the radio with the app. The app gives you smart recommendations based on your listening history and you are able to store songs to your personal account and listen to them offline. If you want a popular app, then Wynk Music is definitely a tried and tested app to go with. It has a four-star rating with millions of songs available to download. The app is available free for the first month but after that, you have to pay for the subscription. You should also note that many of the songs are in Hindi – if you aren’t interested in foreign songs then the app might not be suitable for you. SoundCloud has a cool feature that allows you to search music based on what’s playing right now. If you hear a song you like, but don’t know what it is just let the app find it for you. The free app also makes it easy to explore trending music and to create your own playlists. You can also connect with friends and even interact with your favourite artists. If you’re interested in mainly downloading songs for offline experience, Download MP3 Music is a great pick. You can find millions of high-quality track on the app and searching for the perfect track will be fun and intuitive. The app uses flexible search that allows you to find songs based on artist name, genre, instrument or even mood. Napster Music is for the old-school fans – those who remember the early days of MP3s. 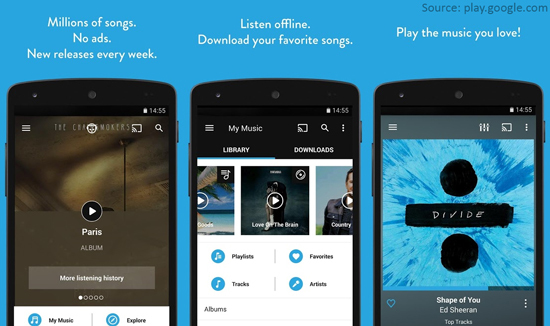 The app allows streaming but you can also download songs to listen to in offline mode. You can check it out with a 30-day trial and then opt for the paid subscription afterwards. This is optional but it does allow you to listen to songs ad-free and to download an unlimited number of songs and playlists on your phone. Another app that allows you to purely download the music on your phone is the Simple MP3 Downloader. It’s a basic app with quite a good selection of music. The search functionality allows you to search by artist name or based on the song title – you can also receive suggestions based on your search history. This search engine style app is a great addition to your Android phone. You will be able to search for all sorts of music, not just songs but also ringtones and clips. The download app has a selection of free music available too. However, some of the links you might find can infringe the copyright laws so be careful what and where you download. SuperCloud Song MP3 Downloader is a great app for finding songs to download to your Android phone. You can find music based on the artist’s name, the album title or the song name. Once you hit the search button, the app will provide you with results and you can select which one you want to download on your phone. Just click the name and the download will start instantly. The most popular music app in Google Play is Spotify and for anyone who loves music, this app is a must-have. 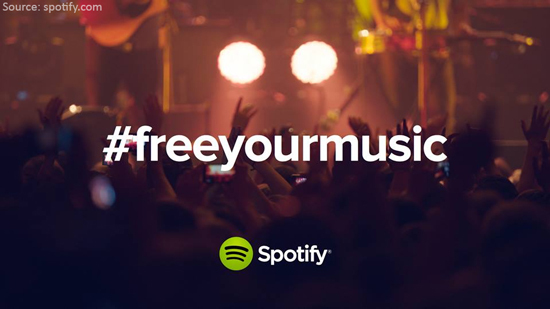 You’ll get to enjoy all of the best music in the world and the app even supports offline listening – although this feature is only available for the premium account. The basic version of the app, which is free, allows you to play songs or albums and pick a playlist, utilizing the shuffle mode. If you want to get rid of the ads that come with the free version, the Spotify Premium account is definitely worth considering. Copyleft’s app is another great downloader with an easy-to-use interface. You can find all sorts of songs based on artist name or the album title. You can download the songs fast and have them transported directly to your File Manager for later use. So, if you love music, pick one of the above downloader apps and add tunes to your Android phone in an instant! You can also buy sheet music, guitar TAB & songbooks from Musicroom for detailed music knowledge.